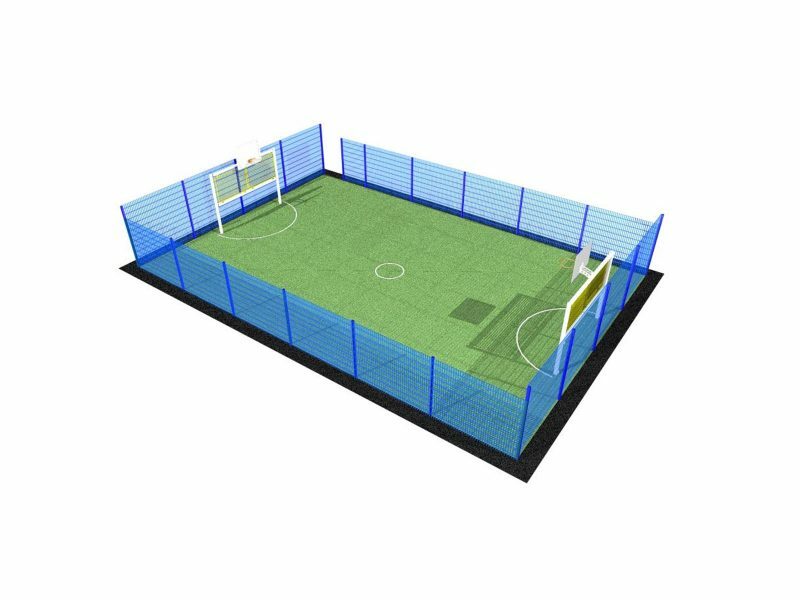 – 2.4m high twin-mesh fencing on each end. 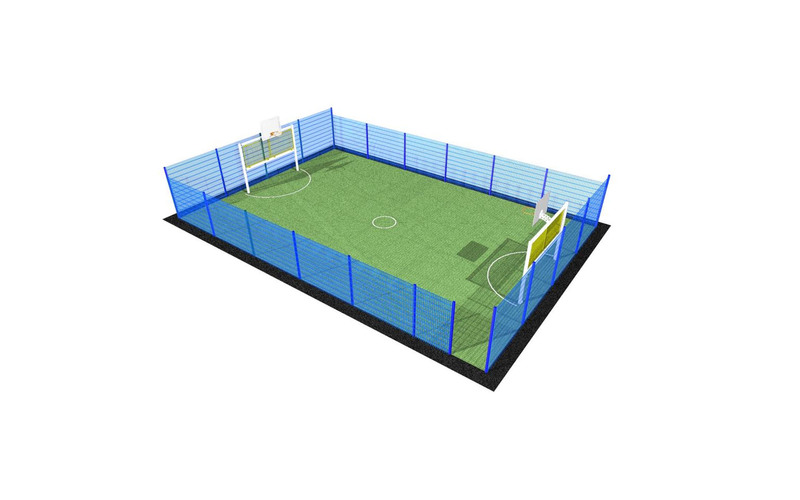 – 2m high twin-mesh fencing on each side. 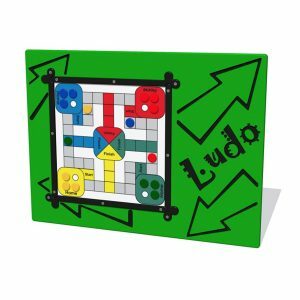 – 1 opening for access. 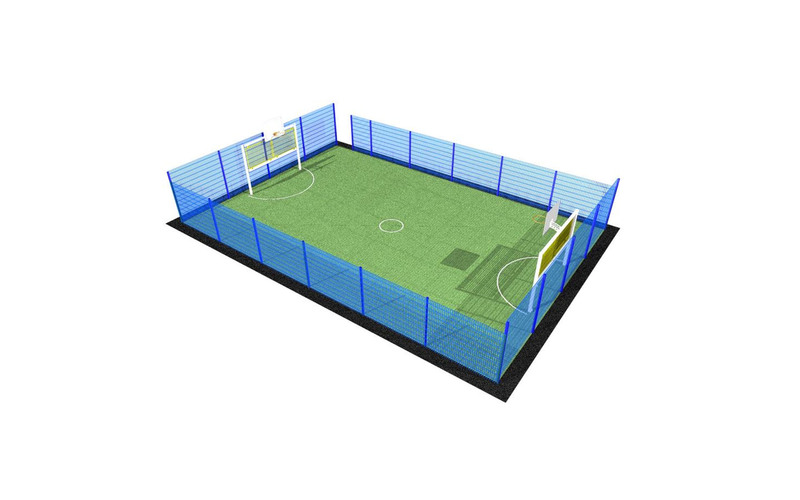 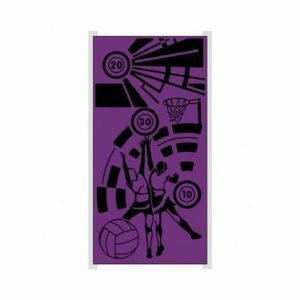 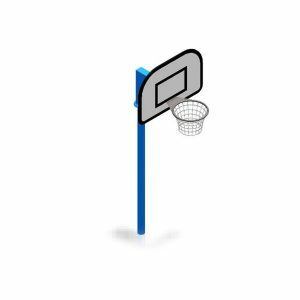 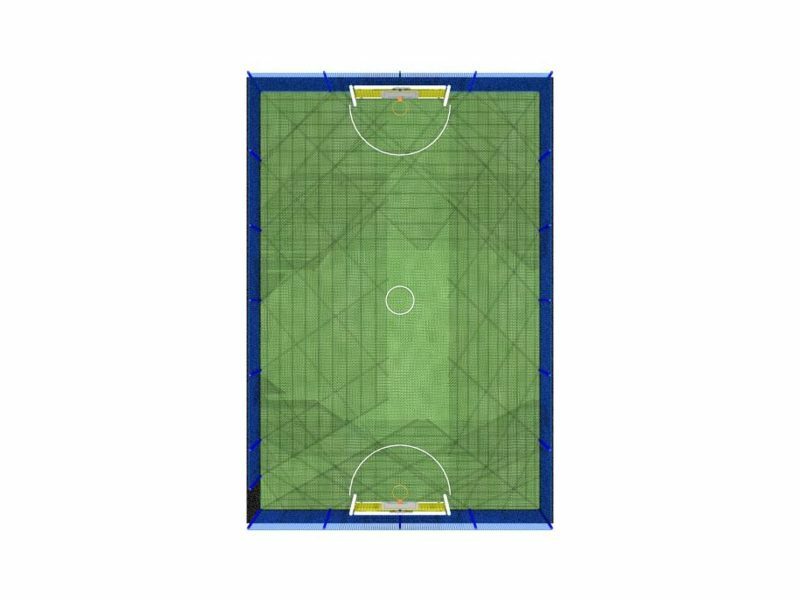 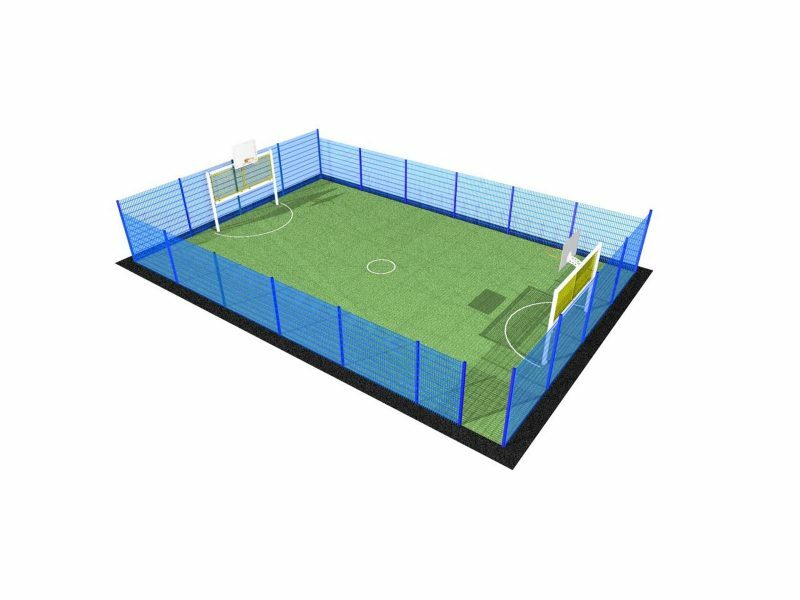 – 2 x 5-a-side Goals with Basketball Goals attached.